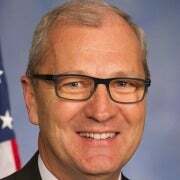 Rep. Kevin Cramer is the U.S. representative for North Dakota's at-large district. He serves on the House Committee on Energy and Commerce. Construction on the 1,172-mile Dakota Access pipeline was halted by the Obama Administration in September after its developers had met every legal requirement to complete the project. 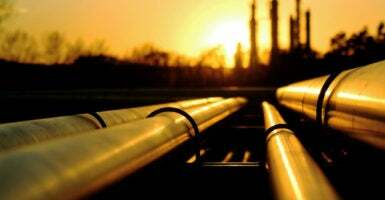 Now more than 90 percent complete, the $3.7 billion private project will deliver as many as 570,000 barrels of oil a day from northwestern North Dakota through South Dakota and Iowa to connect to existing pipelines in Illinois. President Barack Obama had stopped the approval of an easement to cross U.S. Army Corps of Engineers property across the Missouri River at Lake Oahe in Morton County. The meddling by the Obama administration in trying to block this legally permitted project has encouraged civil disobedience, threatened the safety of local residents, and placed an onerous financial burden on local law enforcement—with no offer of federal reimbursement for these increasing costs. Since last summer, protesters have illegally occupied federal land in Morton County near the pipeline construction site, damaging equipment, roads, bridges, livestock, and private property. I have asked the Trump administration to pay for law enforcement costs near the protest site and provide federal police to protect construction workers. Legally permitted infrastructure projects must be allowed to proceed without threat of improper governmental interference. This conflict deserves peaceful resolution, and I hope the extreme environmentalists leading the protest will not further endanger themselves, Morton County residents, construction workers, and law enforcement. These pipelines hold the promise of new jobs and North American energy security. The Keystone XL pipeline also offers the opportunity to do business with Canada, our longtime ally and oldest trading partner. With today’s action from the White House, U.S. energy has taken a great step forward.